At South Moreton, we believe in educating the whole child and our approach is to foster learning, imagination, creativity and individuality. In all aspects of school life, we are committed to developing our pupils' resilience and enthusiasm to take on a challenge so that they can shape their futures in the wider world of tomorrow. I am proud and privileged to be the Headteacher of such a special school, with happy children, committed and experienced staff, an active PTA and a supportive Governing Body. We welcome visitors; if you are interested in finding out more about our school and current availability of places please telephone or email the School Office to arrange an appointment. Mrs Cheryl Sánchez, Head Teacher. 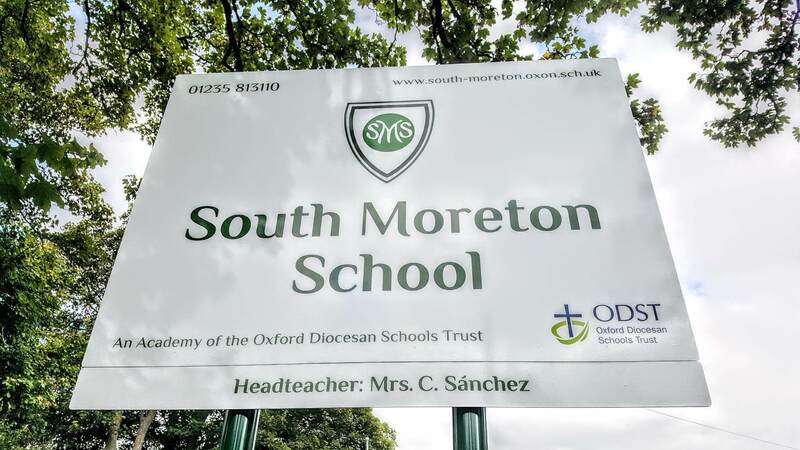 Established in 1896, South Moreton Primary School has a long history at the heart of South Moreton village. The school also serves the surrounding villages of North Moreton, Aston Tirrold and Aston Upthorpe, and we have children on roll from Didcot and the Wallingford area.